*Is there any broadcast story that’s dragged on so long, with so little chance of a happy resolution, as the slow-motion decline of Pacifica’s WBAI (99.5) in NEW YORK? While most of the station’s nearly six decades under Pacifica have been defined by some degree of internal chaos, the last few years have been especially anarchic. WBAI lost its Manhattan studios, most of its audience and much of its financial backing, but it’s held on to its biggest asset, its big class B signal from the master antenna on the Empire State Building, even as it’s struggled to pay a monthly bill there reported to be somewhere around $57,000. While WBAI holds a construction permit to move a few blocks away to the Durst Organization’s 4 Times Square tower (and what would be a nearly-identical signal), it’s now turning to political pressure in an attempt to stay put at Empire, or at least to get released from its contract with Empire and its obligation to pay a rent shortfall that’s now somewhere in the neighborhood of $2.3 million. The Empire State Realty Trust began forcing the situation a couple of months ago when it filed for summary judgment against Pacifica to get $1.8 million of that backlog paid. Pacifica fired back late last week by enlisting New York mayor Bill DeBlasio and other city and state officials to sign on to its appeal, wherein WBAI claims that Empire is charging the station more than “market rates” to be at the site where 99.5 has transmitted since 1966. WBAI general manager Berthold Reimers and station staffers took to the steps of City Hall to plead their case in public, though the event received little coverage from other New York media. Will Empire’s owners be moved by WBAI’s publicity campaign? Will WBAI be forced to move off Empire? Can Pacifica persuade Durst to give the station favorable lease terms over at 4 Times Square? Will a court side with Empire and force Pacifica to pay up? Will one of the “contingency plans” outlined in Pacifica’s latest “Recovery and Stabilization Plan” kick in, in which WBAI would finally swap its big 99.5 signal for a lesser New York facility plus the cash it so desperately needs to right its troubled ship? *Here’s the least shocking news you’ll read all week: there are a lot of pirate radio stations on the airwaves all over NEW YORK City and nearby portions of NEW JERSEY. But while that may come as no surprise to loyal NERW readers (who know it’s equally true of the Boston area and, increasingly, Hartford and Springfield), it’s still a set of facts that need documenting if regulators and law enforcement are going to do anything about it. That’s where the New York State Broadcasters Association comes in: in addition to pushing lawmakers to make unlicensed broadcasting a state-level crime, NYSBA has funded several ongoing surveys to identify just how much of the FM dial is filled by pirates in the greater New York area. The most recent survey, conducted in March in Brooklyn, the Bronx, Newark and Paterson, is the first one NYSBA has released widely – and it’s well worth downloading it and reading it. It identified more than 70 pirate signals on the air in the region and tracked down the locations of many of them in an attempt to determine just how much they interfere with licensed broadcasters. The study also looked at potential interference to air traffic control and other public-safety communications (including a pirate operating in close proximity to the East Orange, NJ police radio tower) – and, for the first time, at the potential for high levels of RF energy from pirate antennas mounted on balconies and near residential areas. *A veteran VERMONT broadcaster is back on the airwaves over Lake Champlain. After the collapse of the Musicheads.us “Album Station” LMA of RadioActive’s WZXP (97.9 Au Sable NY), the Plattsburgh-area signal has re-emerged with classic country as “97.9 the Moose.” It’s a venture that includes John Nichols (who co-founded WXXX in South Burlington in the 1980s and later helped put WFFF-TV 44 on the air) and New York engineer Aaron Ishmael. *Right at the edge of CANADA, Vista has split its FM simulcast in Niagara Falls. At 6:13 Friday morning, CFLZ (101.1 Fort Erie) dropped top 40 “2Day FM” to go to a sort of variety hits as “Juice FM,” a brand Vista uses mainly out west. “2Day” remains on sister station CJED (105.1 Niagara Falls). Chris Barnatt moves to mornings on the new “Juice,” with former Calgary jock Joe Moniz handling afternoons there; the two flip roles on “2Day,” with Moniz doing mornings and Barnatt tracking afternoons. *Even as regulators in CANADA have been relaxing many of the onerous rules that have long governed broadcasting north of the border, one policy has held fast: stations licensed in English have to keep broadcasting in English, and stations licensed in French have to keep broadcasting in French. But with the AM dial in Montreal already poised for some very big changes in the next few months, media giant Bell Canada is asking the CRTC to allow it to flip one of its AMs, CKGM, from English to French – at the same time a rival broadcaster is asking the CRTC for permission to start a new English-language signal. What to do? 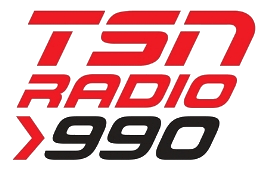 CKGM’s “TSN Radio” sports format is the lowest-rated English signal in the market, and it was widely expected that Bell would put it up for sale. Instead, Bell shocked the market last week by telling the CRTC it plans to shift CKGM to a French-language sports format under the “RDS” branding (“Reseau de sports” is the Bell-0wned, French-language cable sports network that’s a sister to TSN), possibly as early as January 2013 if the agency gives its approval. *It was a huge week in broadcasting at both ends of the Boston-New York axis, and if you’re looking for the big developments from the Big Apple, you may want to keep scrolling down a bit – we’re leading off this week with some even bigger surprises from eastern MASSACHUSETTS. The first came on the radio side of things, when lawyers for veteran WRKO (680 Boston) afternoon talk host Howie Carr announced last Monday that he would leave the Entercom talk station when his contract expires September 19. Instead, Carr’s representatives said, the Boston Herald columnist would take over the morning shift formerly occupied by Don Imus on Greater Media’s WTKK (96.9 Boston), the FM talker that’s been rapidly eroding the comfortable hold WRKO once had on the city’s talk audience. As news of Carr’s planned move splashed across the headlines in Boston, things started getting even testier. WRKO, which apparently had declined to exercise a one-year renewal clause in Carr’s contract, told the Globe that it had the right to match any offer Carr received from Greater Media. Carr’s lawyers responded with a lawsuit seeking to declare that clause unenforceable, thanks to the state’s new ban on non-compete contracts – and they noted that while WRKO was willing to match WTKK’s salary offer, it couldn’t match the other terms of the new deal, most notably the morning slot on the FM dial. Carr was off the air at WRKO for most of the week, but returned on Thursday with a prepared statement that had been drafted for him to read. Any illusion that Carr might have agreed with the words he was reading (“My job is to provide you with the most entertaining and compelling show that I can do each day, not to discuss my personal matters”) was carefully shattered with a few “it says here” comments inserted in the reading – and at week’s end, the only certainties were that the lawyers on both sides will be paying for plenty of summers on Cape Cod with whatever time they’ll lose this summer hashing this mess out, and that we’ll be hearing a lot more about Carr’s planned move in the next few weeks. *Even as Carr’s news was all over the papers and websites Tuesday, an even more veteran Boston broadcaster was making headlines of her own. Natalie Jacobson, who’s been part of the news team at WCVB (Channel 5) since the station’s first day on the air more than 35 years ago, announced that she’ll retire from the Hearst-Argyle ABC affiliate after next Wednesday’s 6 PM newscast. Jacobson has been an anchor on WCVB since 1976, much of that time spent sharing the anchor desk at 6 and 11 with her former husband, Chet Curtis. He moved to New England Cable News after their 2001 divorce, while Jacobson slowly eased back on her workload at Channel 5, giving up the 11 PM newscast and concentrating on the 6, which she’d been co-anchoring with Ed Harding. In any event, Wednesday’s farewell will include a special edition of “Chronicle” devoted to Jacobson’s career. After that, Jacobson says she’s going to work on a multimedia venture aimed at baby boomers in their retirement years. *There was just one big radio story in NEW YORK last week, of course, and we pointed the NERW-mobile south and east for the day on Thursday so we could be there as WCBS-FM (101.1 New York) relegated “Jack FM” to its HD2 subchannel and brought the oldies – beg pardon, the “classic hits” back to the main FM channel they’d occupied from 1972 until the abrupt switch to “Jack” in June 2005. That format change two years ago took place with no advance warning and no fanfare, but this time was different. Outside in Times Square, we spotted one lone CBS-FM fan holding a “welcome back” sign (with “Hit the Road, Jack” on the flip side), an echo of the street protests that quickly formed back in 2005 to protest the format flip. Up on the 40th floor of the Viacom building at 1515 Broadway, guests stepping off the elevators saw no sign of “Jack” – just the new-old WCBS-FM logo all over the place, and more than a few magnets and stickers bearing the 2005-era logo adorning cubicles and filing cabinets as well. In the sales office, there was food (including an authentic New York hot dog cart) for invited guests and top CBS Radio management, at a level rarely seen for your usual format change. That included programming VP Greg Strassell, engineering honcho Glynn Walden – and, of course, Dan Mason, the CBS Radio president who’s set in motion a whole series of changes since returning to that post a few months ago, including this format flip. Half an hour before the scheduled 1:01 PM format change, the assembled media (including Daily News radio columnist David Hinckley, at left above, and most of the city’s TV stations) began moving down the hall toward the studios. At 12:40, general manager Jennifer Donohue (below, left) and PD Brian Thomas (in the background, below left) entered the air studio to administer the last rites, as it were, to Jack. After a series of joking liners during the last day in which “Jack” (voiced by Canadian VO artist Howard Cogan) gets flowers from Bob Shannon (“Who’s Bob Shannon?”) and an unexpected delivery of moving boxes, the final “Jack” bit found him on the phone with Tony Soprano – and after an abrupt “gotta go,” the strains of Journey’s “Don’t Stop Believin’” blasted from the speakers, the room applauded, and Jack was off to HD2 retirement. In good “Sopranos” finale fashion, the Journey tune abruptly cut off before its end – and the next sounds heard on 101.1 were radio static, the noise of a jukebox coming up to speed, and the strains of Frank Sinatra singing “Summer Wind,” the infamous last song played on the old CBS-FM back in 2005. That, in turn, gave way to a long montage of songs, soundbites and news clips tracking the years from 1964 into the eighties, and as the montage plays on, the crowd in the studio kept growing. As 1:01 PM approached, the montage wrapped up with a greeting from former mayor Ed Koch, acknowledging how rare it is for a big corporation to admit it “blew it,” followed by “I Love New York” and the booming WCBS-FM legal ID, voiced – just as in the old days – by Ziggie Pelzer. The room cheered, the Beach Boys’ “Do It Again” started playing, Shannon started dancing, and CBS-FM was back on the air. The mikes finally opened after the Beach Boys song, as morning man Dan Taylor led the room in a shout of “We’re back!,” which led into Frankie Valli and the Four Seasons’ “December 1963 (Oh What A Night. )” After that, Shannon’s first on-air words in two years – “As I was about to say…” – poked fun at the afternoon shift he never got to do on that fateful day in 2005. Shannon then introduced the new DJ lineup, including former WKTU jock Broadway Bill Lee in afternoons, Joe Causi on weekends (and, for this first day, at night as well), and Jeff Mazzei, who programmed the HD2 incarnation of CBS-FM during the “Jack” era, on overnights. (From left to right, that’s Lee, Taylor, Mazzei, Causi and Shannon in the jock photo above.) After Donohue joined Shannon to read a proclamation from Mayor Michael Bloomberg, who had publicly proclaimed back in 2005 that he’d never listen to the station again, the guests eventually begin filing out of the studio, letting Shannon and then Lee bring the music (and, perhaps more important, the personality) back to CBS-FM. Is the regulatory tide turning against big clusters and consolidation? A proposed Clear Channel purchase in MAINE is one of three deals facing a level of scrutiny the FCC hasn’t employed in decades. Clear Channel has been operating WSKW (1160 Skowhegan) and WHQO (107.9 Skowhegan) under an LMA from Mountain Wireless for several years, ever since Mountain’s proposed sale of the stations to Cumulus fell through due to financial problems at the Cumulus end. Last October, Clear Channel filed to convert the LMA to ownership, a deal that would give Mountain Wireless $1.8 million and add WHQO and WSKW to the rest of the Clear Channel Augusta-Waterville cluster, a group that includes WFAU (1280 Gardiner), WCTB (93.5 Fairfield), WKCG (101.3 Augusta), WABK (104.3 Gardiner) and WTOS (105.1 Skowhegan, another former Mountain Wireless station). WHQO has been simulcasting the talk programming from Clear Channel’s WVOM (103.9 Howland) in the Bangor market, while WSKW has been sharing a sports format with WFAU and WIGY (97.5 Madison, just returned to the air this week after suffering tower damage). For the last few months, the Mountain stations have even operated from the same Augusta facility as the other Clear Channel central Maine stations. The hitch? If the deal is approved by the FCC (it already has Justice Department clearance), Clear Channel and Citadel (which has WMME/WEZW and WEBB/WTVL in the market) would share a whopping 99.5% of the radio revenues in the market, with just a handful of commercially-licensed religious stations (WMDR 1340, WWWA 95.3) as “competition” for radio ad dollars. So the FCC has designated the WHQO/WSKW sale, along with a Clear Channel purchase in Youngstown, Ohio (WRTK 1540 Niles OH, WAKZ 95.9 Sharpsville PA, WICT 95.1 Grove City PA, WBBG 106.1 Niles OH) and another one in Killeen-Temple, Texas, for a hearing on market concentration. Stay tuned as the Commission sets what promises to be a new precedent for acceptable levels of station revenue and ratings share…we’ll keep you posted. Our top story this week comes from MASSACHUSETTS, Springfield to be exact, where Clear Channel’s WHYN (560/93.1) announced this week that its newsroom will close at the end of August, with Metro Networks taking over WHYN’s news product on September 1. WHYN employed three full-time newspeople, and all of them (news director Denise Vozella, Sid Whitaker, and Bill Erickson) have been offered jobs at Metro’s Hartford newsroom, which will provide news for WHYN. WHYN’s Gary James tells NERW that “this is an opportunity for the WHYN listeners to get even more local coverage because of the resources of Metro,” and he says that while the WHYN/Metro news staff will be based in Hartford, they’ll still do street reporting in Springfield and have an office at the WHYN studios. Other Springfield-area radio listeners aren’t quite as optimistic; recently-retired WHYN anchor Ron Russell (DeMatteo) tells the Springfield Union-News that the change feels “like a death in my immediate family.” And while WHYN management says listeners won’t notice any difference on the air, NERW has learned that the current WHYN news staffers aren’t in any hurry to accept Metro’s job offers in Hartford, meaning WHYN listeners could soon hear a new set of voices at the top of each hour. NERW has also learned that Hartford’s WTIC (1080), targeted as one of Metro’s likely clients for the Hartford newsroom, has decided to stick with its own news operation because of concerns about the depth and quality of Metro’s offerings. Around New England: In MASSACHUSETTS, ARS has found yet another station to simulcast over its WNFT (1150) in Boston. The latest programming to show up on 1150 is sister sports station WEEI (850); no word on how long this one will last. In New Bedford, an organization called New Bedford Christian Radio has applied for a new station at 88.1; NERW wonders whether they’ll co-locate on the Tiverton RI tower of New Bedford-licensed WLNE-TV 6 to minimize interference….or whether WLNE will quash the application from the start.